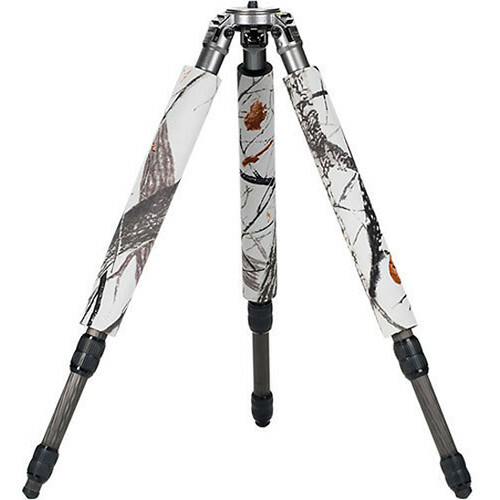 The LensCoat LegCoat Tripod Leg Protectors (Realtree Snow) is a set of three tripod leg covers, which are made of closed-cell foam padding and heavy-duty neoprene. They are soft to the touch but rugged in function. The padding guards your hands from the cold tripod legs in lower temperatures, and can protect the tripod from minor nicks and scratches. Made with "hook & loop" fasteners for easy assembly. The Realtree Snow camouflage pattern offers maximum effectiveness in snowy terrain. Box Dimensions (LxWxH) 15.5 x 7.4 x 3.2"